These past few days have seemed to go by quickly. 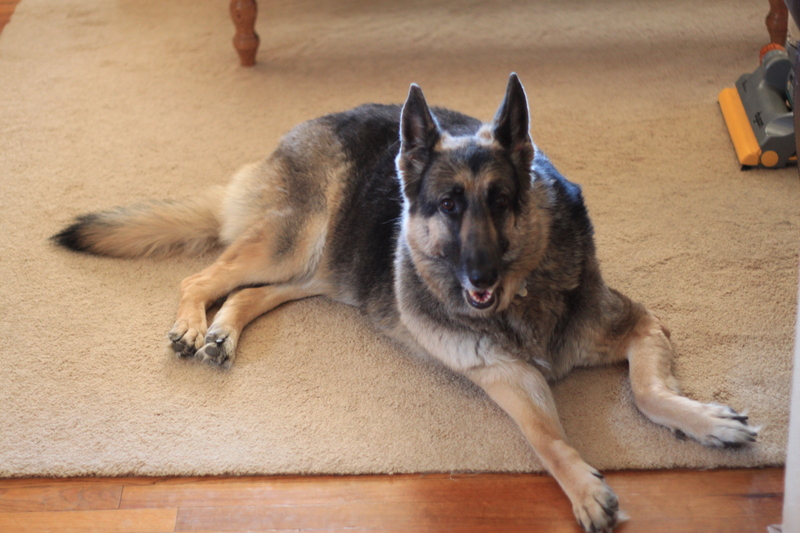 The weekend was spent dog sitting a friends German Shepherd. She has hip dysplasia which is a form of arthritis. She keeps on trying to be as active as possible and still likes to walk outside. She reminds me that we as humans owe it to ourselves to keep on trying and do what we are able to do. You never know where that may lead. This week weight update: I lost 5 pounds and 3 inches total. One thing about losing it certainly motivates you to keep on going. This week I am planning to continue my DVD’s but increase my cardio to 5 days a week. I found a Zumba class that is starting next month near my house. I am going to try it. Thanks for the updates Kathy. WOW!!! Congrats on the weight/inches loss this week. You GO GIRL!!! What a loving and kind thing for you to do to pet sit for your friend. I’m sure they appreciate that they were able to leave their beloved pet in your loving care. Also, I can’t hardly wait to see your half bath project update…Great updates!